CES Unveiled gave us a peek of what is to come in the big show in January 2017. CES has been the show that has led the way in what’s hot in technology and what the big NEXT will be. As we see technology is not only about our phone anymore. It has evolved and has become a part of our daily lives. We are now living a ‘connected life’ so to speak. With all of this connectivity comes great opportunities for new and emerging companies to disrupt and to take things to another level. CES Unveiled happens to also be right before the holiday buying season and gives us all the excitement we need to get out there and get our electronic gadgets. The show featured over 25 companies, many who have won CES Innovation Awards for 2017. Some were Picobrew; a really great home brewing beer device that gives you several choices of beer to brew in under an hour or less. Bosch keeps innovating. Go Plug Bags were a great product- its the worlds first smart powerbank that charges anything. Bot Factory was a cool company and dont forget the VR camera company Sphericam. The Internet of Things is growing as we consumers have less time and more to do. If you are interested in attending the big show, its January 5th to the 8th in wonderful Las Vegas!! 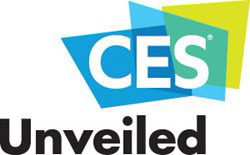 More on CES and the tech world coming soon as there is lots of things going on. If you have any questions please email me or leave me a comment.